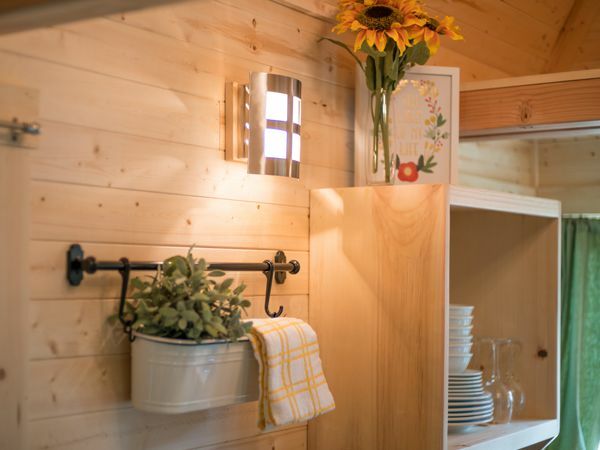 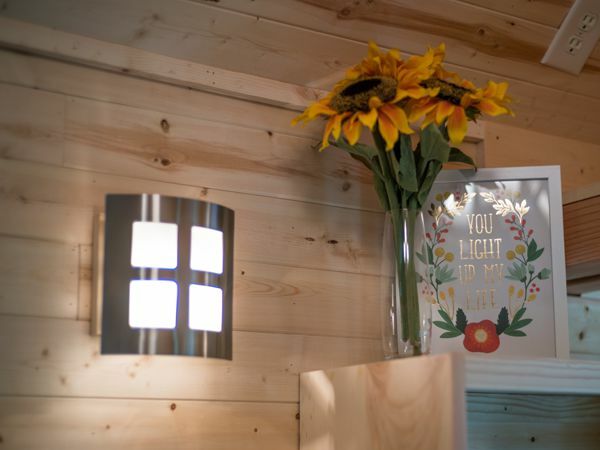 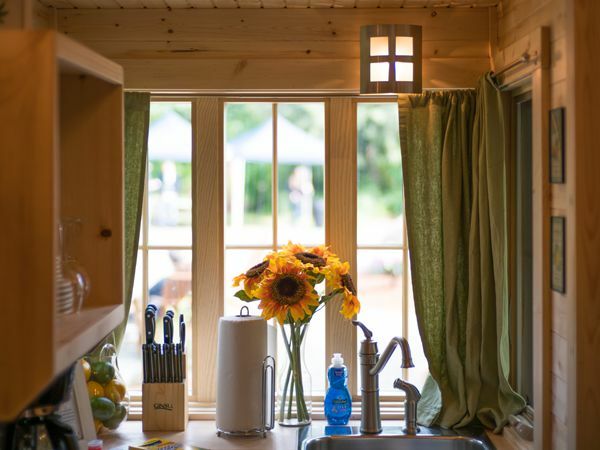 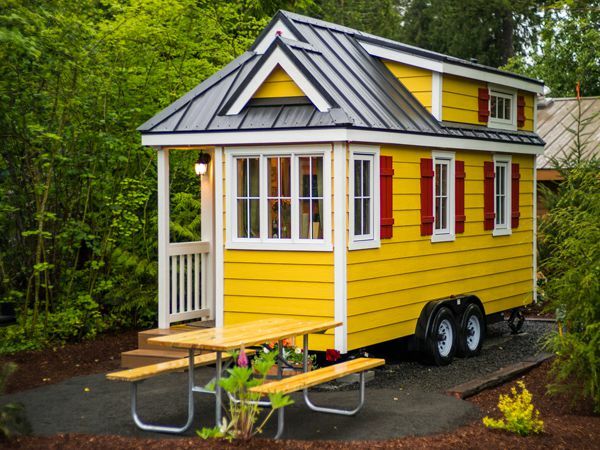 This bright, yellow tiny house is named "Savannah", a cedar plank home from the Tumbleweed Tiny House Company. 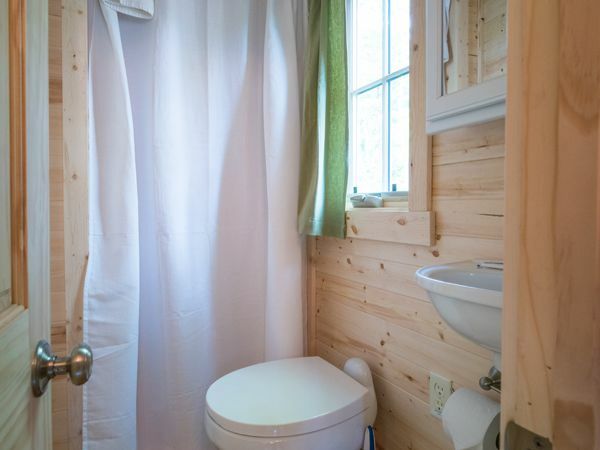 Savannah is a part of the Mt. 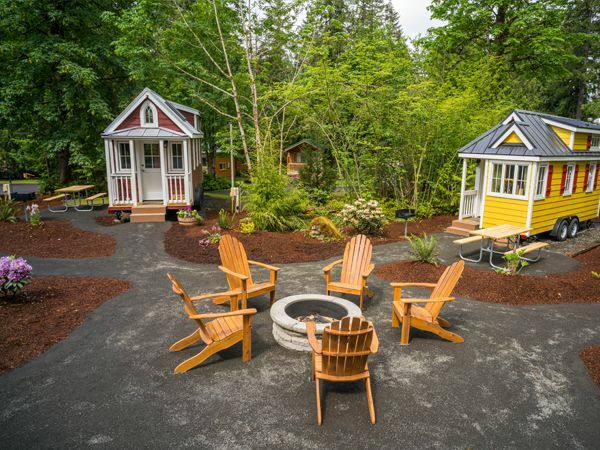 Hood Village Resort; a collection of five tiny houses you can rent on a nightly basis in Welches, Oregon. 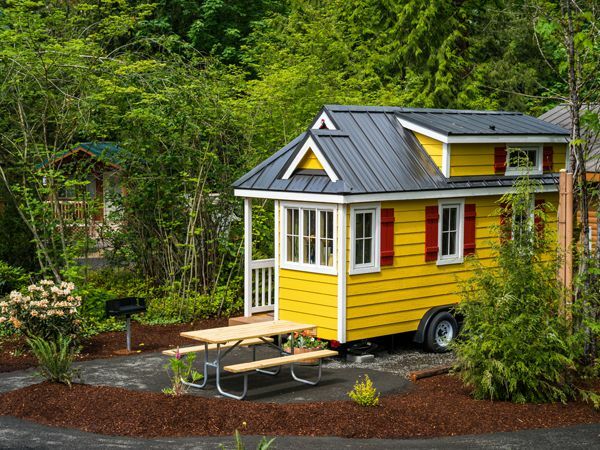 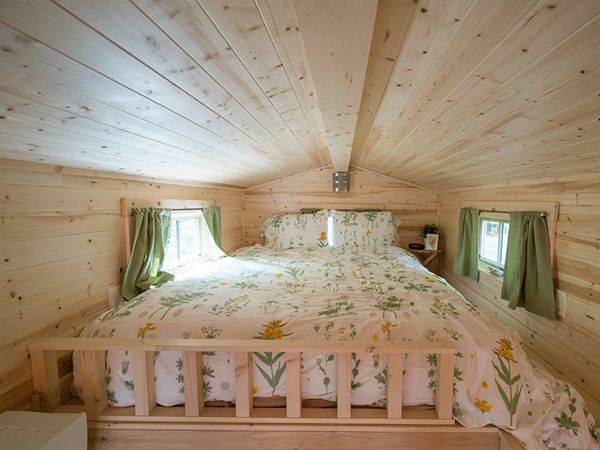 The home measures 175 sq ft and can sleep up to 3 people. 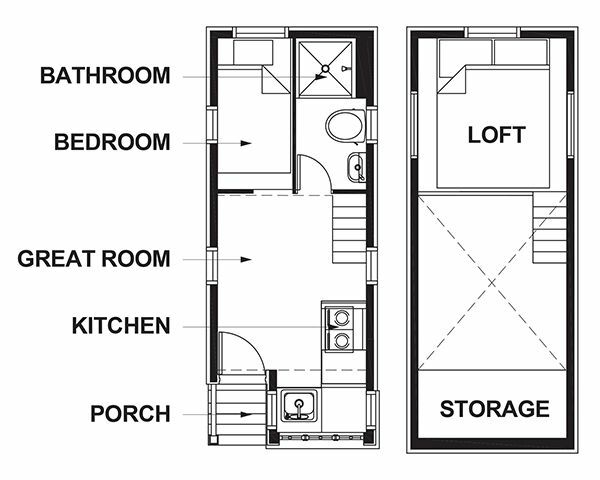 There's also a kitchen, living room area, full bathroom and a loft bedroom. 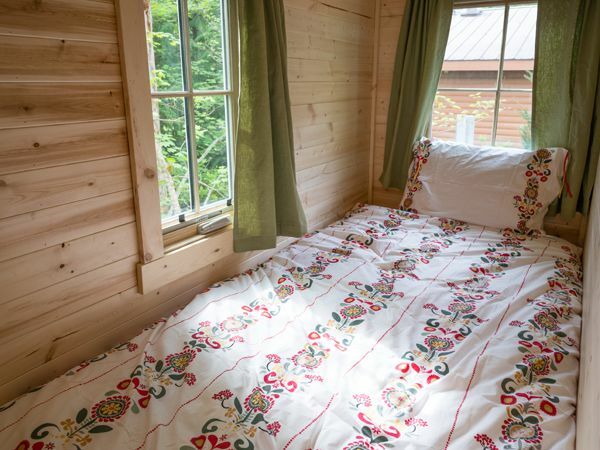 You can rent Savannah for $129 a night.